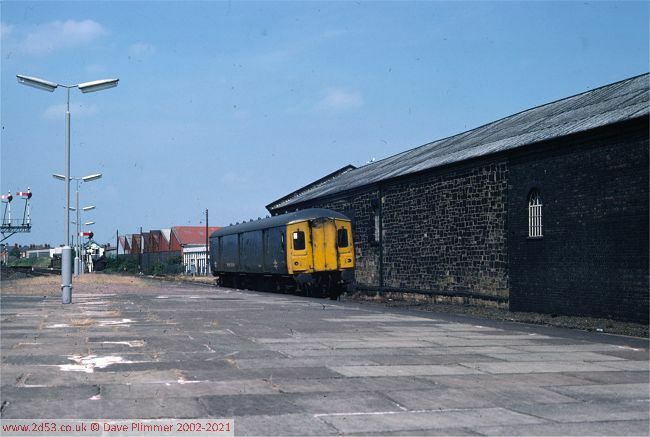 These pictures are of the station and the ex-GWR main line out to Croes Newydd. 24091 passes Wrexham General station and approaches Croes Newydd North Fork Level Crossing with 4B06, the 18:00 Chester - Rugby parcels on Friday 20th May 1977. This train was timetabled to spend 42 minutes at Wrexham, departing at 19:02. 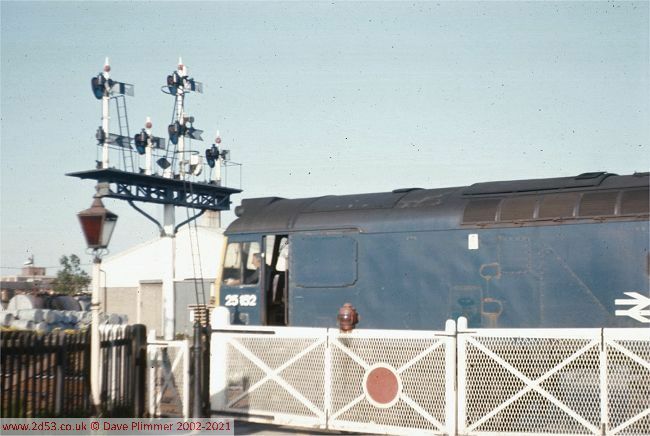 Immediately afterwards, 25152 heads in the opposite direction across the Level Crossing. The wooden gates, the gas lamp with red glass and the splendid bracket signal are all traditional GWR artefacts which have now all gone. The signal controls 4 routes - from left to right: To Croes Newydd East (with fixed distant), to the holding sidings, to Croes Newydd South (with motor-worked distant) and to Watery Road sidings. 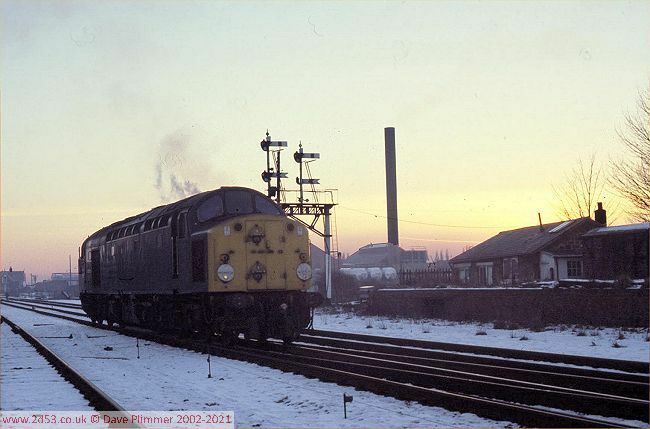 40108 is seen at the south nd of Wrexham General station, running round its train on 13th January 1979. 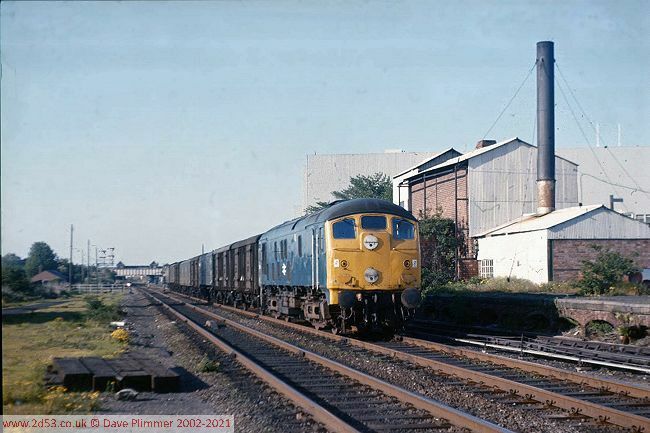 This was the DAA 'North West Rambler No 2' railtour from London Marylebone, which had just arrived from Dee Marsh Jn and was reversing to head for Chester.